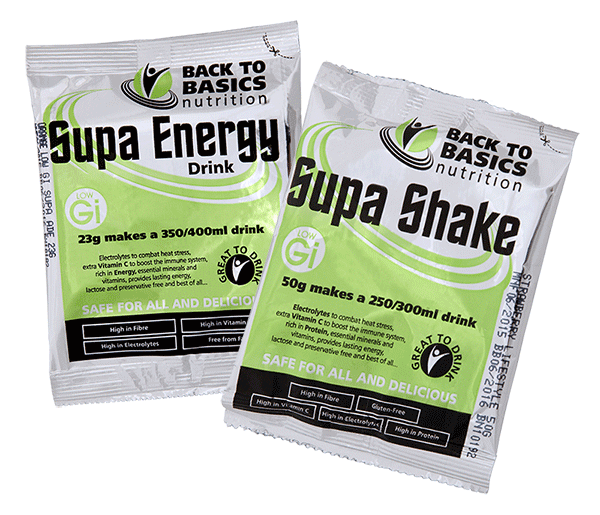 Back to Basics nutritional supplements are the result of 20 years research and service to the mining industry. They are nutritionally balanced and have a tested and proven taste acceptance across all cultures. Back to Basics supplements offer the advantage of sustained energy release over a period of 4 to 5 hours against traditional supplements that are sugar based [High GI] and which provide energy for approximately only one hour, followed by a feeling of exhaustion and hunger. 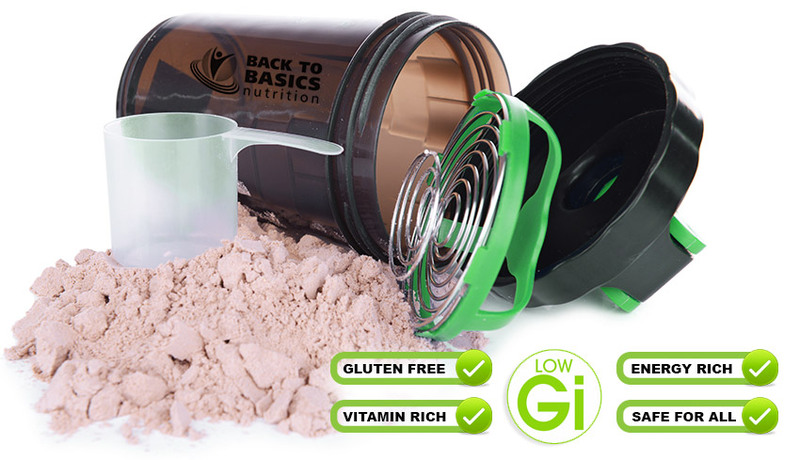 With productivity being the essential business requirement the advantage provided by our Low GI supplements is critical. Our supplements are also convenient and easy to carry and consume on the job, encourage fluid intake and one product suits all! Safe for all ages, healthy or suffering from an existing Lifestyle health condition, as well as being safe for gluten and lactose intolerant workers. Don’t just take our word for it, read a detailed view of our product range by a National group of Dieticians, Dieticians at Work. Fatigue is physical exhaustion – brain fog, burnout. A low GI meal replacement shake keeps you focussed. Ideally the Low GI Milkshake should be provided pre and mid shift, when taking into account recent research demonstrating upwards of 50% of the workforce are arriving on the job in a hypoglycaemics state. Because of the milkshake ingredients [protein, carbohydrates, fats, vitamins and minerals, fibre and electrolytes], the pre-shift dose stabilises blood sugar levels, provides sustainable energy and puts the worker in a position to carry the required workload for 4 to 5 hours. 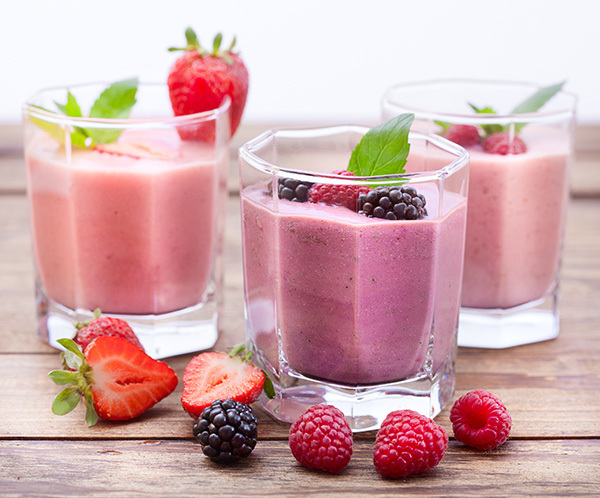 Our supa-shake is easiest mixed with water and still tastes delicious but if you have the time, adding a few extra ingredients to have in your fruit bowl, you can make the tastiest smoothies! Give some of our suggested recipes a try. Intense work in the heat can quickly lead to dehydration. The drink which is designed to complement the pre – shift milkshake by ensuring the product continues to provide the sustainable energy required. by the worker for the rest of the workday. Constituents include Carbohydrate, sucrose, vitamins, minerals and electrolytes in a delicious Low GI format that encourages fluid intake and provides 4 to 5 hours of sustainable energy. It is recommended that a mid-shift drink be utilised every 3 to 4 hours depending on the length of the shift. 15 million incidents free, Full-Shift Fatigue packs issued to major mines workforces 2012/17. 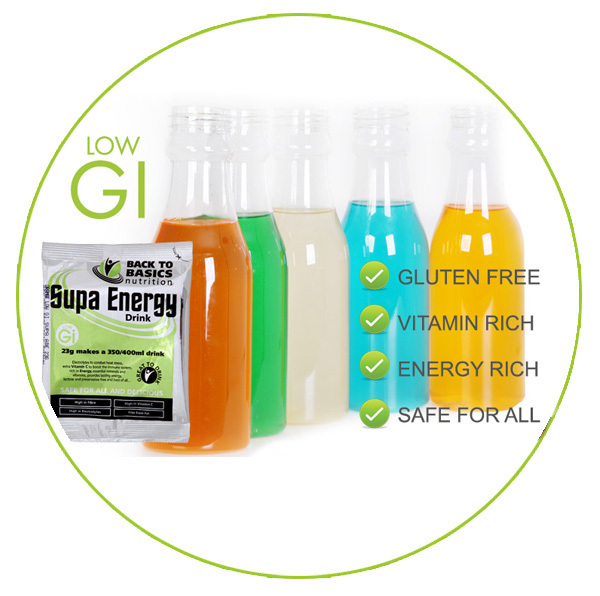 Low GI Lifestyle Nutrition Milkshake and Supa-aide Sports drinks supplements shall be provided to all shift and standby employees as well as employees who are suffering from a chronic illness. Also including sections where vehicle safety forms part of the top 5 risks. No Flavour Fatigue reported, because of variety and pre-issue testing for worker acceptability/preferences. Dry powder in sealed sachets to prevent contamination, to which water is added, ensuring minimum 2L consumption by each worker daily to comply with legislation. Electrolyte content complying with WHO recommendations preventing dehydration, and ensuring concentration levels are maintained throughout the shift, preventing expensive incidents and improving safety. High Vitamin C content to assist in body temperature control in hot and cold conditions, plus boost the immune system reducing severity of common colds and u, and other illnesses promoting rapid healing of cuts and bruises complying with Chamber recommendations. Low GI Nutrition Fatigue Packs to ensure sustainable energy throughout the shift, and after shift re-habilitation, for better performance shift after shift. Protein, Carbohydrates, Fats, Vitamins and Minerals and Electrolytes, to boost the workers nutritional status, enabling better performance, productivity, health and safety throughout the shift, day after day. Designed to fit the shift – 8 hour or 12 hour variants. 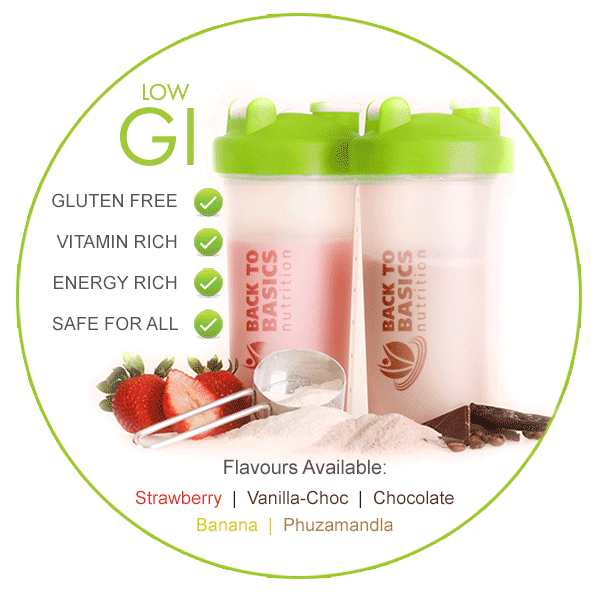 Low Gi ensures suitability for most including diabetics. – a “win- win situation over time”. Absenteeism levels reduced, ensuring “more hands on deck more often” with important cost reduction implications, making the Back to Basics Nutrition Fatigue Packs a ordable and the ideal solution helping ensure better productivity. Fatigue Packs can be tailored to t in with current contracted nutritional issues. High levels of Protein to maintain constant blood glucose [energy] levels and build stamina. 250mg of vitamin C to comply with legislation pertaining mine workers. Proven taste acceptance across all cultures black and white. Variety of tastes of delicious milkshakes and drinks [not porridge] to prevent product consumption fatigue. One product to suit all – safe whether you are young, older, healthy or may be suffering from conditions like high blood pressure, diabetes or other chronic conditions like HIV/Aids or cancer. A workforce that is healthy, energised, focussed.... now that's an investment in safety. DO YOU NEED A NUTRITIONAL SUPPLEMENT FOR YOUR WORKFORCE?